Online marketplace eBay has announced a campaign to drive down the number of fake DVDs sold on the site. Called 'Fighting Fakes with eBay', the website is looking for members of the film, TV and DVD industry to partner them in stamping out counterfeit content, by signing up to a Verified Rights Owner programme (VeRO). 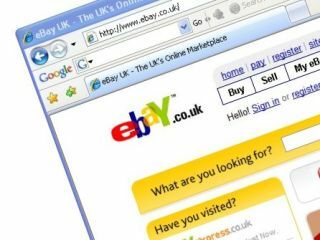 "Counterfeiters' sophistication keeps increasing, making it ever harder to differentiate a genuine item from a fake," explained Doug McCallum, Senior Vice President, eBay Europe. "We invest millions of dollars annually to prevent potential counterfeits from appearing, and millions more removing from our sites the few that slip through. Clearly, as we do not have the expertise to assess the authenticity of every branded product, we are unable to tackle the problem alone. "We hope this latest anti-counterfeit initiative will raise awareness and put the VeRO programme and the support it offers, front of mind with Rights Owners." eBay has pointed out that 99 per cent of products sold on the site are legitimate, but it hopes that getting companies to sign up to VeRO will finally bring about "100 per cent authenticity". eBay was recently in the news after it won a court case against L'Oréal, which was trying to sue the website over trademark infringements, after fake goods from the French cosmetic company were found for sale on the website.